He says reflectors waste too much light outside hotspot, so he likes tir. That could be why he choose not wasting lumens over throw, but i think he likes throw, so he must build massive world record flashlight output of lumens in order for tir to throw as much as it can. I don’t think it will be lower than $30 per led. His goal for Sirius is 80000lumens and 600kcd. Post 61 had some more pictures. Well, My dr meter showed up today and I was able to get some readings of the XHP70.2 GT’s along with some crude beamshots. I will post the results tomorrow but I will just say I am not disappointed in the slightest. Do you have a stock gt to compare pictures with? Can’t wait. Real lookin forward to hearing and seeing the results. Good, good! Looking forward to the beamshots and measured throw data. I’m quite happy with my GT but to be honest – a light this big could have some somer POWERRRRR………………. Ok, here are the results of my testing with the Dr Meter LX1330B lux meter and the XHP70.2 GT. These readings are at 10m, outside. First the stock GT for a reference point. 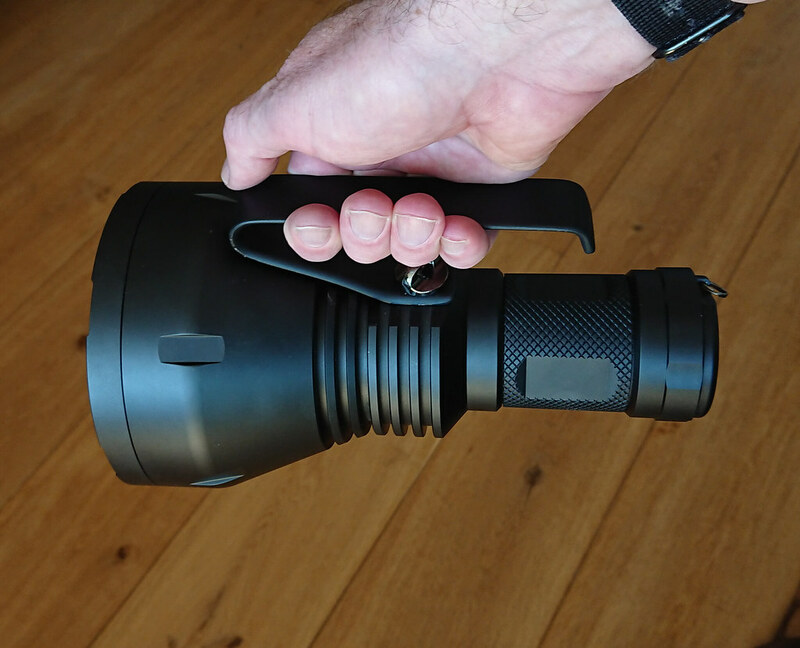 – 560 Kcd for a total of 1500m of throw with over 9,000 lumens! 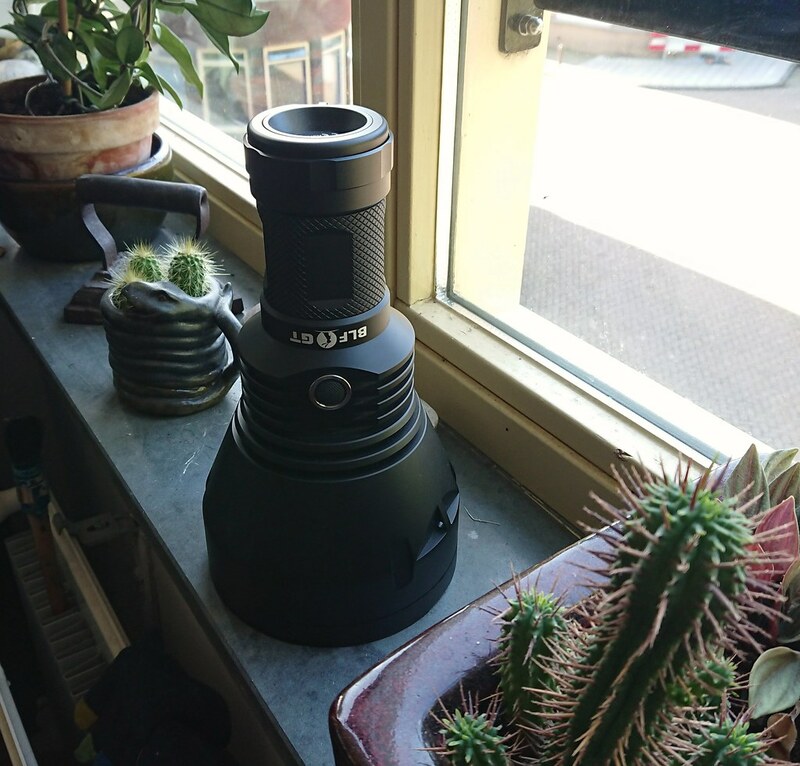 – 750 Kcd for a total of 1725m of throw with over 9,000 lumens! So needless to say I am pretty happy with the results. A P2 bin XHP70.2 could most likely get a bit more then this but I didn’t have any on hand when I put these together. Here are some very crude beam shots that kind of show the difference. I am officially listing both of these lights for sale and I can swap the LED to something else if someone wanted. I will post a thread for them later when I have some time. wow, thats it here since 4-27 on this mod ? I would of expected more response as well but the beamshots are really not that good so I can’t blame people. I have not looked into this thread much, but today I have time to work on my GT. Those are very nice results for the sliced XHP70.2, TA! Those beams and numbers show that the maximal driven XHP70.2 makes for an extremely valid mod. As a baseline before opening the GT up, I measured the throw again in shorty setup with 4 charged 30Q’s at 30 seconds and 12.41 meter (the longest distance I can measure indoors), and got 875 kcd. For the general good I checked my Tasi meter and LX1330B meter as well for the GT hotspot, and thanks to the neutral tint they read quite close to the MobiLux, for the GT hotspot the Tasi reads 2.9% high and the LX1330B reads 2.4% high. That is pretty usable. To be able to check the led current I pulled out the minus-wire but also had to add 25mm of 18AWG wire for the clamp meter to fit. The ledwire itself is long and 20AWG and at 2-2.5 A the added piece of wire should not have measurable influence (and the current should be regulated anyway). I checked with both single tube (4 batteries) and double tube (8 batteries) and the current was the same: 1.98A at start, 1.96 at 30 seconds, slowly droppung, at 3 minutes (double tube) it was 1.88A. You’d think that the batteries provide enough juice to keep the current level at 2A for more than a minute? But what seems wrong to me is that a double-click does not give 2.5A, my GT sticked to 1.96A however I tried the double-click: a brief ‘off’ and then back to 1.96A. A factory reset does not solve it. 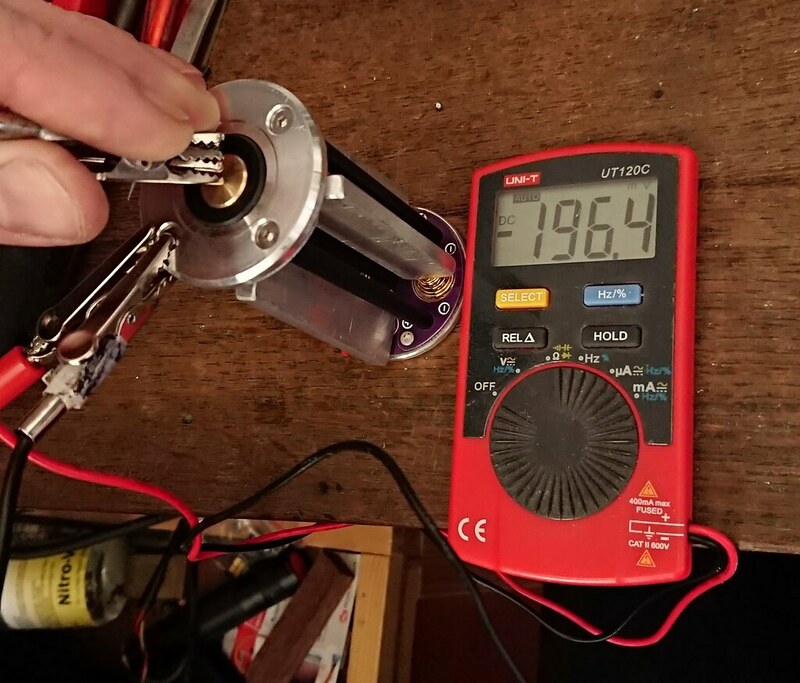 But that is not the only reason for my low performance: the XHP35 Hi (Koef3’s test) has a 1.11% output gain from 2A to 2.5A, so if ‘turbo’ worked in my GT, the throw should go up to 875×1.11=971kcd, if measured like others do with the LX1330B that would read 995kcd, still on the very very low side of what the GT should be capable of. Looking good TA. I am torn between “dome on & sliced”. They both look good. 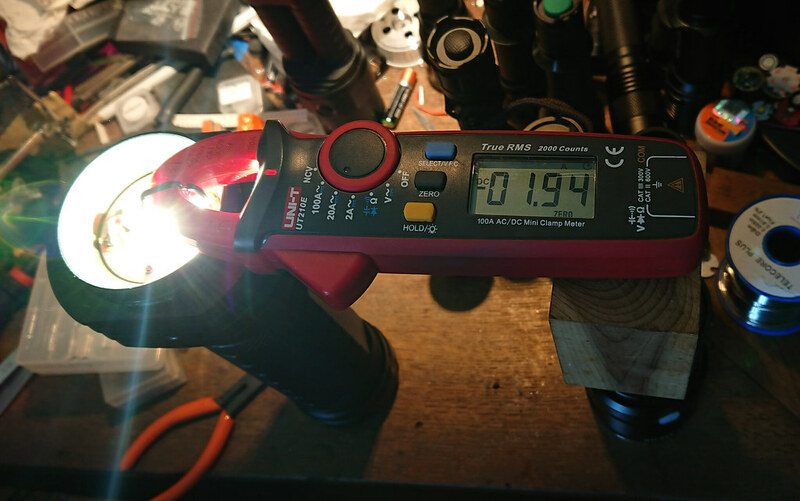 FWIW because these are rough calculations, I did an as good as it gets output measurement of the bare led in the GT, while it was at 1.86A, and got 2070 (djozz)lumen. 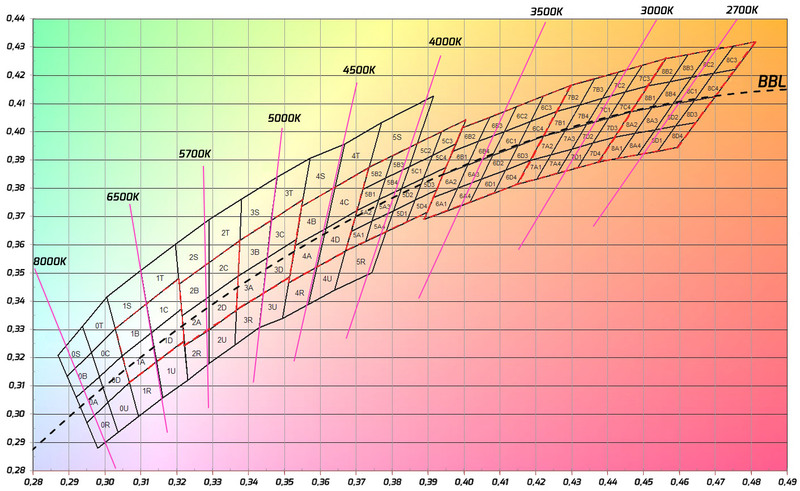 Koef3’s measurement of a C4 bin XHP35 Hi at 1.86A is 2050 lumen, but my lumen compared to Koef3’s lumen at the (Mouser-bought) LuxeonV test (that we both did) is 11% higher, so in his calibration my GT would put out 1865 lumen at 1.86A, which would place my led in a C2 bin. These calculations are so rough that they hardly have value, but suggest that my led is not faulty but seems another aspect of my GT that is on the low end of expectations, but not so low that it alone explains the low-ish throw of my GT. I do not rule out that the reflector is still partly to blame. A handle for the shorty configuration was also in the planning so I went on with that. 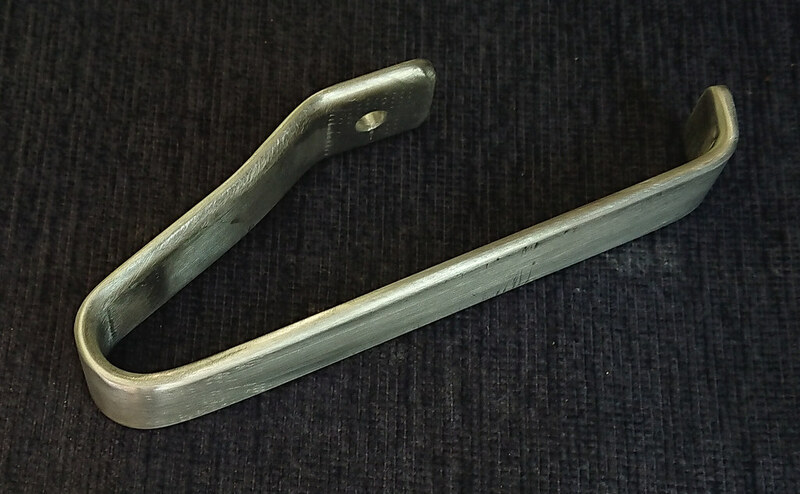 Because I was still a bit disappointed in my inability to improve my GT (performing like a 100mm reflector light while being a 120mm reflector light), my motivation for making the handle really nice was also affected, and I chose for some simple bends in a strip of 4mm aluminium and for a quick engine paint job instead of trying to anodise the handle. The handle works beautifully though, very well in balance. But the switch is of course on the wrong side of the lamp. The beamshots are great. What is the distance to that tree? Hmm, that is very strange results djozz. My first guess is that you have an abnormally high Vf LED and it is reaching max power even without turbo being enabled. Due to the buck design the resistance would not be lowered any further by going into turbo. In this case it having abnormally low output would not be a stretch. My first change would be an LED swap and see what happens. The reflow is a very real option as well. I had a case like this just a few weeks ago where I reflowed some XHP35’s in an MT09R and they got good output at first but then after some use the output quickly started falling. No other explanation, they just simply started preforming very badly. Put some new XHP35’s in the light and it worked perfect. 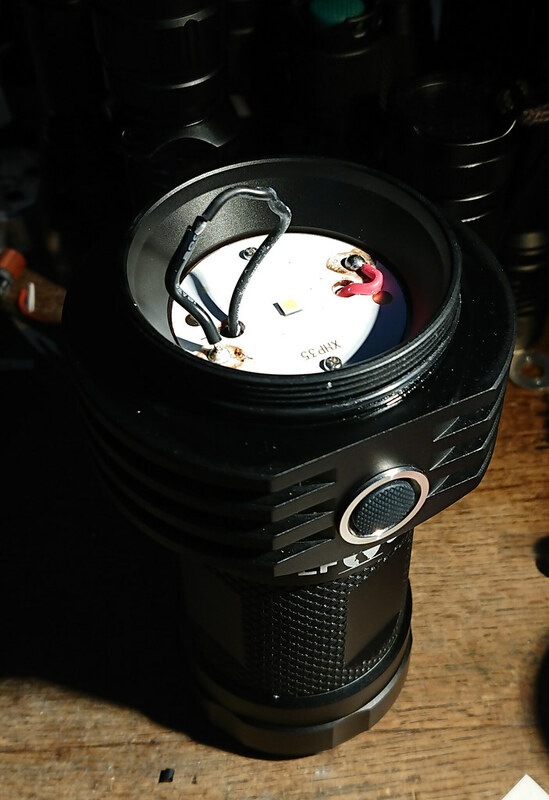 Of all the Cree LED’s I have worked with I would say that the XHP35 is the least consistent of them by a fair margin. No idea why but I have seen surprising variances even in the same reel. Think it was around 100m IIRC. 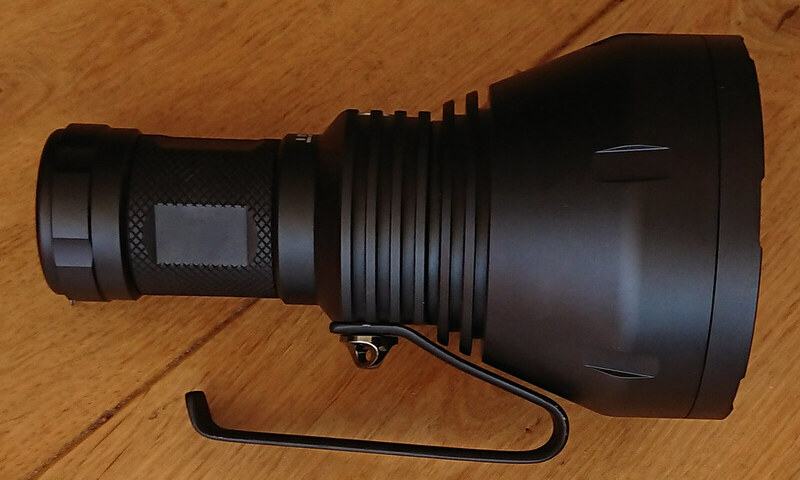 I ordered two new leds at KD, for my pleasure 4000K 80CRI, which is a C4 bin but should still do over 1 Mcd. Oh and I am not sure there is a market to make a big batch of drivers for the XHP70.2 GT at this point seeing as the mcpcb is still a custom mod, so I just have my leftover prototype drivers available to sell. I currently have 4 of them ready to ship, if anyone is interested PM me. I also still have 1 XHP70.2 GT left ready for a new home. Hi TA, I have not followed your mods very well but for using this XHP70 driver I guess the battery configuration needs to be altered to 6V instead of 12V? Btw, I measured the voltage drop of one of the carriers while at 2A current, using 4 aluminium blanks in the carrier of exact the same length as a buttontop30Q, and I measured 0.2V voltage drop from the resistances inside the carrier. Nope, that was the point of this driver, it works at the native 12V the GT comes as. All you have to figure out is the MSPCB (the best option right now is the sinkpad 46mm aluminum mcpcb that can be sanded to fit or a modded SD75 mcpcb if you can get it), Or wait for lumintop to hopefully release a pre-made MCPCB for modding the GT. Then drop in this driver and it is good to go for over 9k lumens (I saw over 10k for a few seconds). Good test, I wanted to do the same thing but was too laze to make up some bypasses. What happens when you push it to say 10-14A like the XHP70.2 driver? I guess 7 times as much. But if two carriers are used I assume only 5-7A is run per carrier? Thanks, that was the info I wanted, quite useful. Pm replied, looks like I have 3 left. How did Nicolaas light and your own light compare at 2 amps djozz? Nice handle by the way. We did not check that at the time because before actually measuring amps I was not aware that the current did not change when double-clicked. Thanks, I think it is a nice handle too, pretty happy about it especially considering that it took me just 40 minutes to make.